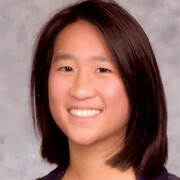 Last year, over 70% of Amherst College students reported being very lonely. The national average was over 50%. 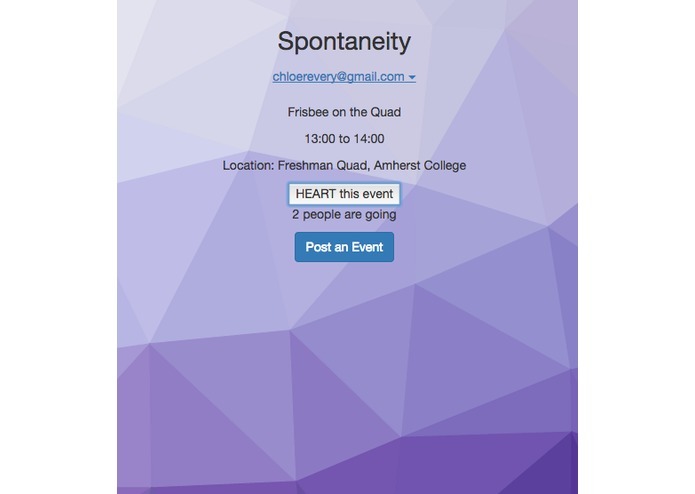 Spontaneity is an event-centered, location-based app that seeks to address loneliness and boredom by encouraging get-togethers with people near you. Spontaneity uses Meteor's Geolocation package to show users all events within 2.5 miles of their location. 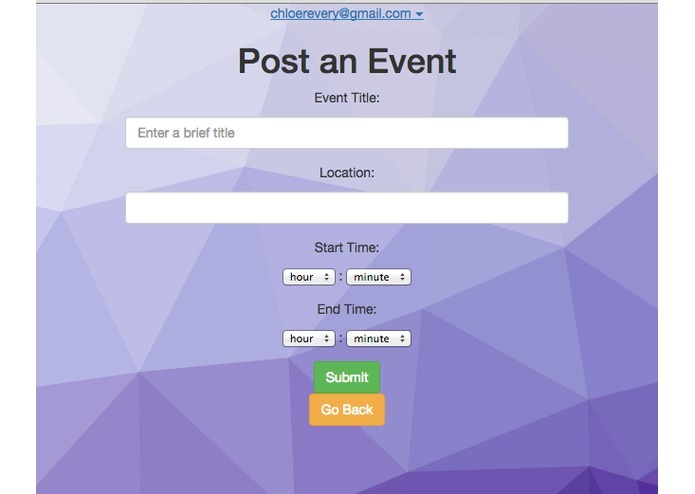 Users can also post their own events. 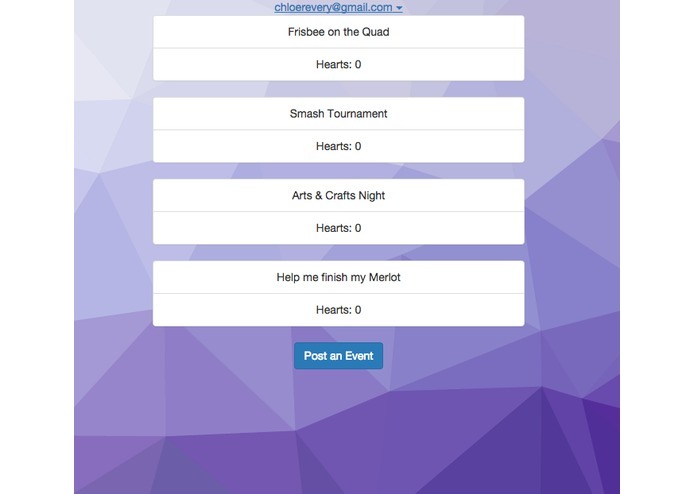 Attendees are kept anonymous, but users can see how many people are interested in an event (how many people "heart" it). When an event is over, Spontaneity removes it from the list of displayed events. We were inspired not only by the overwhelming number of college students who feel lonely but also by non-students. We remembered a story from Reddit where a user posted a picture of himself in a park with a frisbee and a bottle of whisky, and asked anyone who was bored to join him. Hundreds of people showed up. We know from our own experience that there are a lot of apps out there to help people connect with close friends to plan events (GroupMe, WhatsApp, etc). Spontaneity helps people connect with those they live near but may not know well. We hope it will be especially useful for people who want to make new friends, or lonely people looking for an alternative to Netflixing.